While physical injuries sustained in a Nevada car accident are sometimes obvious (though often they are not immediately apparent), in many cases the victims suffer more damage than meets the eye. Emotional distress is the mental anguish that results from the traumatic experience of the car accident, and it can affect the victim or close relatives of the victim. A Nevada car accident victim who also suffers mental anguish can seek monetary compensation for this harm. The above symptoms, if severe enough, can hinder a person’s ability to function and maintain his or her livelihood. A person suffering from these conditions will require additional professional mental health care to begin recovery. Moreover, sometimes those who suffer from mental health issues end up also having physical symptoms. Although mental anguish is recoverable as a damage in negligence and other intentional torts, there are two specific torts specifically aimed at recovering emotional distress damages. There are two different types of emotional distress lawsuits in Nevada — intentional infliction of emotional distress (IIED) and negligent infliction of emotional distress (NIED). In either scenario, the defendant’s conduct must be directly connected to the distress suffered by the plaintiff. When it comes to an IIED claim, the defendant’s conduct must be proven to be extreme and outrageous. While the emotional distress suffered by the plaintiff does not have to coincide with his or her physical injuries, the distress must be severe. In an NIED claim, on the other hand, the defendant would need to act in a negligent manner, and injure someone in plain view of the victim’s family member. If you have suffered emotional distress due to the trauma of being a Nevada car accident survivor, know that you do not have to deal with this on your own. 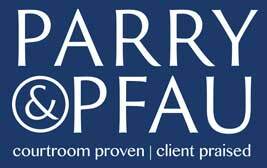 Contact the experienced Las Vegas personal injury attorneys at Parry & Pfau to learn about your rights under applicable law.